• Sales representation of our client. • Build & maintain customer. • Negotiate and manage business development and sales related activities. • Follow up the sales routine job and deliver job. • Good team-player with good attitude. • Have own vehicle with Driving License. • Able to visit customer at upcountry. Bachelor’s degree in Plastic , Chemical or Trading. Co-ordinate with Sale team and other. Generate for logistics process that related with Shipping,Warehouse. Generate report and follow with customer and supplier. Update the new custom laws & regulation. 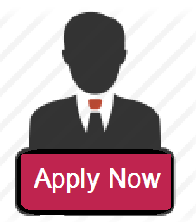 1-3 years experience in field of Import-export , Logistic ,or related field. Have Basic knowledge in Logistics , Import- Export process. Good team-player with good attitude.